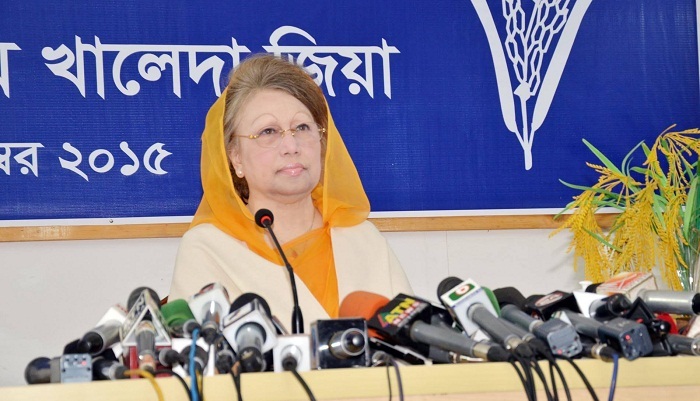 Demanding army deployment in upcoming municipal polls again, BNP Chairperson Khaleda Zia on Monday reiterated that despite the government has made all arrangements to hold a farcical municipal elections, her party will remain in field till last minute of the polls. Khaleda Zia expressed her strong stance while addressing a press conference at her Gulshan office in the capital on Monday afternoon. Bringing allegation that the BNP leaders and their election campaigns came under attack, she demanded deployment of the army during the polls.